Well, my next scheduled race will be the Seattle Rock’n’Roll Half Marathon. 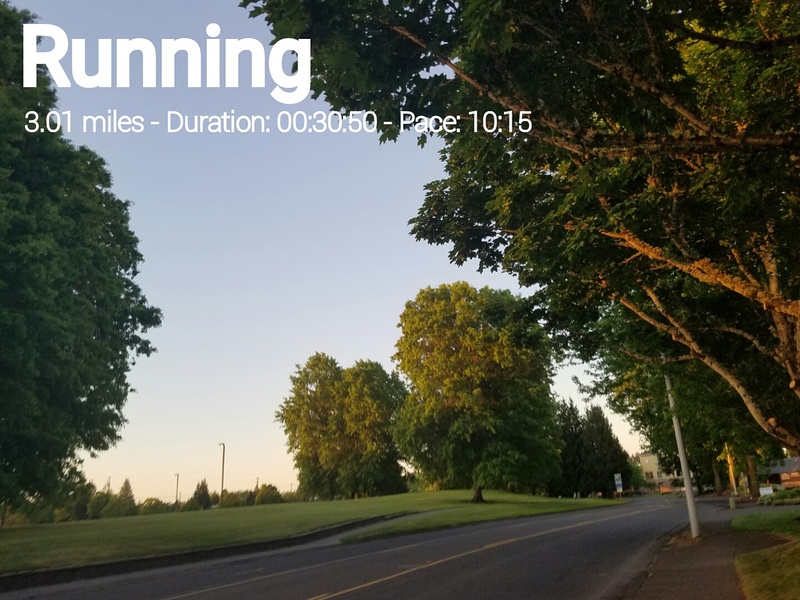 I’m not counting the Oregon Spring Half Marathon since I’ll be pacing. It’s actually coming up in two weeks. It should be a fun one though since I’ll be pacing the 2:30 group for the first time. Staying at an 11:30 pace will be a new challenge since it’s such a different pace than what I usually run but my trusty Garmin should help me. 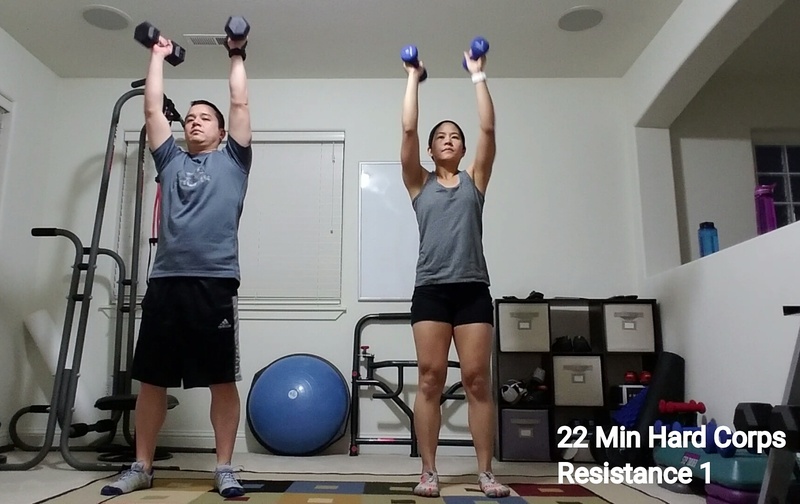 Tuesday – Worked out with hubby and did 22 Min Hard Corps Resistance 1. Then ran 3.01 miles. 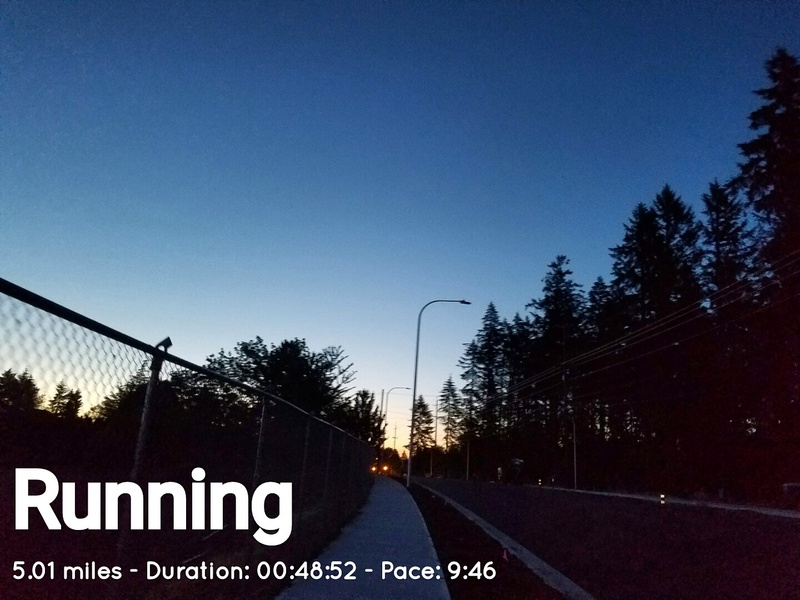 Wednesday – Ran 5.01 early miles before work. Thursday – Rest Day. Friday – Ran 5.01 miles while my 5 year old was in preschool. 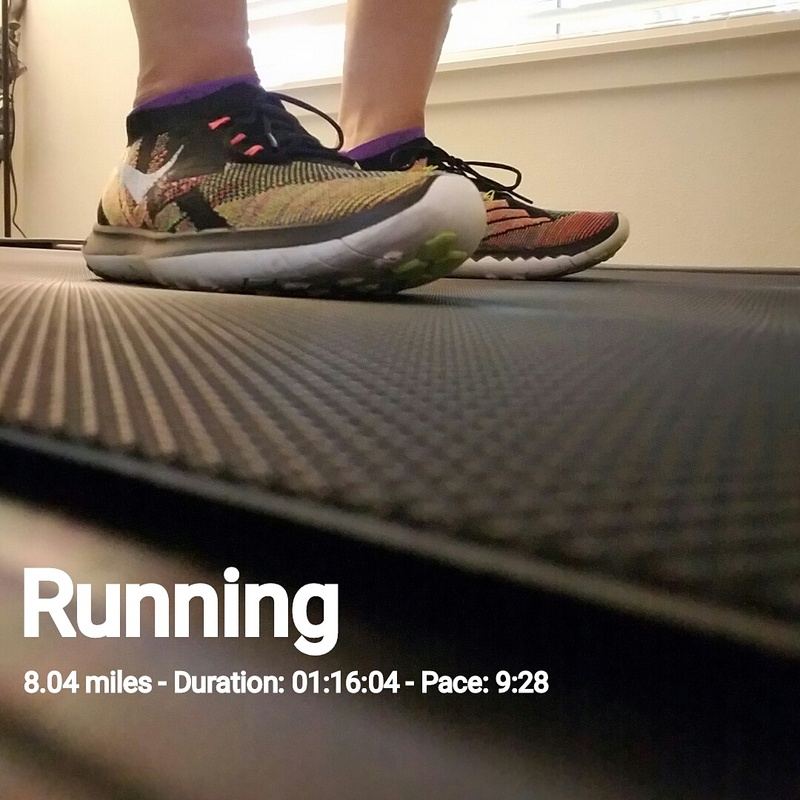 Saturday – I ran 8.04 treadmill miles. Sunday – Rest day. Total= 22.07 miles. I thought it was a good recovery week. Things got a bit stressful last week with house issues and other stuff I don’t want to get into. But things are looking brighter this week. Also, congrats to Liz L. who won my giveaway for the Running on the Wall Medal and Bib Holder. How’d your week go? Here’s to a great week ahead! I’m linking up with HoHo Runs and MissSippiPiddlin for the Weekly Wrap. Looks like a great week of running! I don’t know if I could pace, much less at 11:30. I’m looking forward to your recap of that experience. Thanks Wendy! It will be interesting to pace 11:30. Glad things are looking brighter this week! Sounds like a nice recovery week! Hope everything works out! Great pictures and workouts. I like the new look of your site. That’s cool that you can pace yourself so well. The times I’ve run with a pacer, I really liked it…..except for the races where I just can’t keep up with them! Thanks Diane! Pacing is fun, I just hope pacing 11:30 goes well since I’ve never paced that one yet. That’s still quite a bit of running for a recovery week. Is that a guy playing a saxophone under the bridge? If so, how cool! 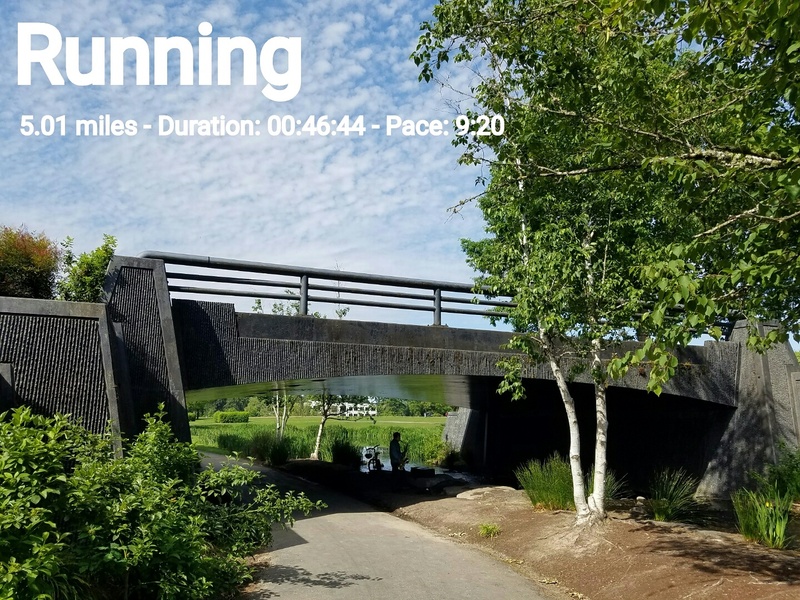 Live music on your run! Will this be your first time pacing a group? 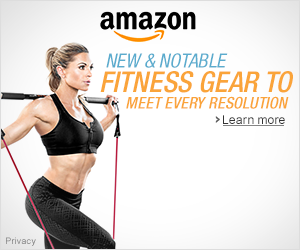 I’ve thought about doing that but have always worried my pace would be consistent enough. I’m afraid people would complain. I can’t wait to hear what you thought about it. Thanks for linking with us Sherry. Yes, there was a guy playing a saxophone. It was a first for me to see and thought it would be a cool pic. I enjoyed the live music too. 🙂 Thanks for having the link up Holly. That’s a pretty cool treadmill picture! Great work this week! Looks like a nice recovery week! I would love to pace a half one day. I look forward to hearing about your experience.